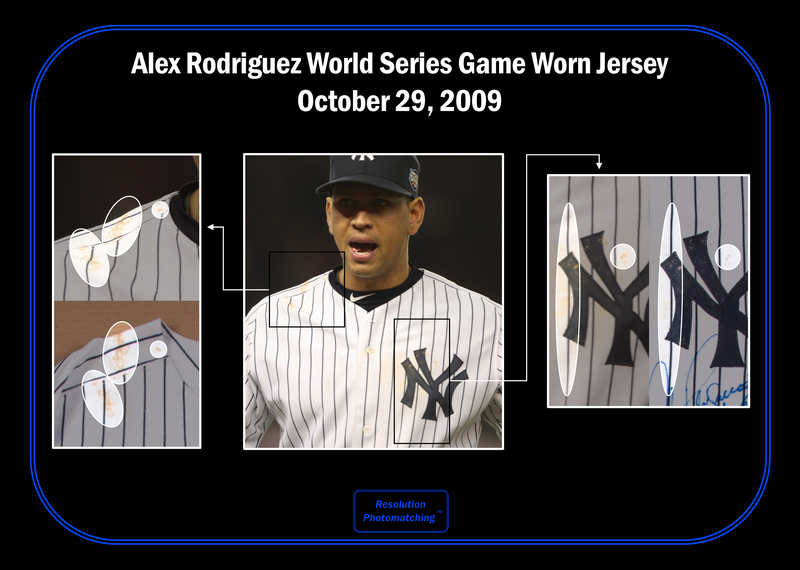 Alex Rodriguez’s record-breaking career began during the 1994 MLB season, but it was not until 2009 that A-Rod made his first appearance in the World Series. 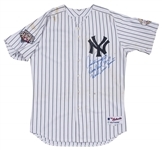 The Yankees star third baseman capitalized on his Fall Classic debut, hitting a homer with six RBI and three doubles in the Yankees authoritative defeat of the Philadelphia Phillies. Rodriguez was a constant threat to reach base during this series, recording a .423 on-base percentage during the Yankees six-game victory. 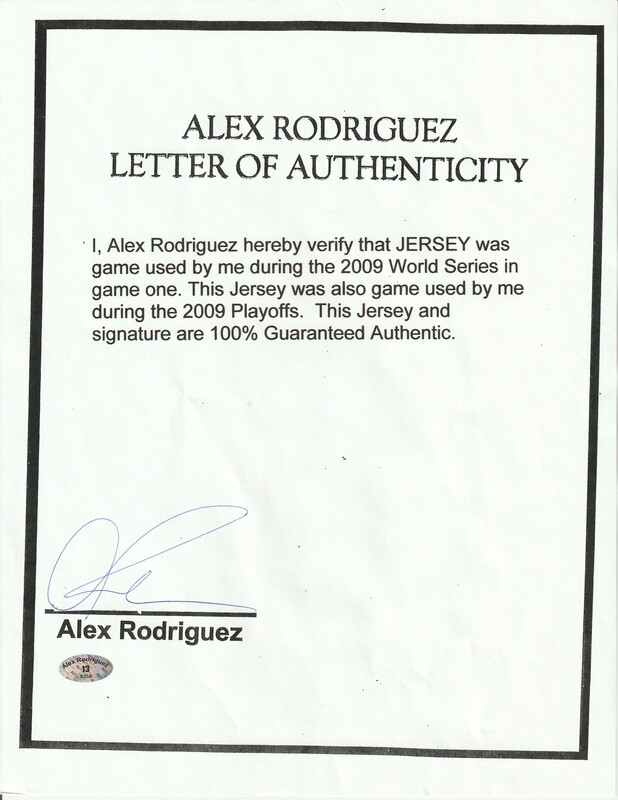 Rodriguez wore this jersey for at least 31 games during the 2009 season and has been photo matched to 31 games. 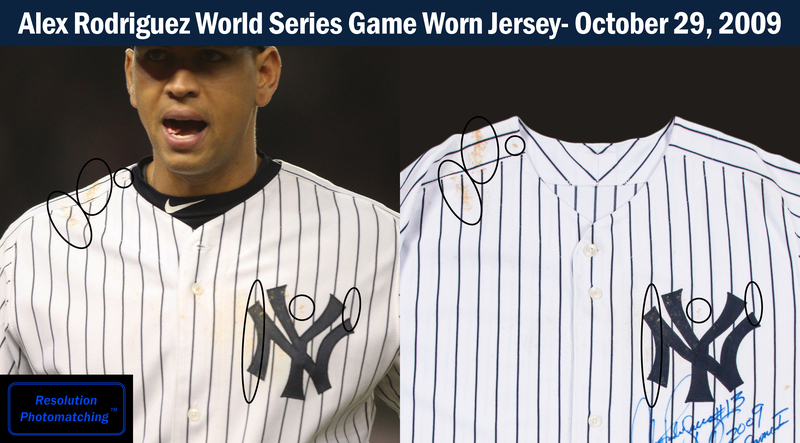 For two of those games, Rodriguez wore this jersey during Games 1 and 2 of the 2009 World Series at Yankee Stadium. Unfortunately for the Bronx Bombers, Phillies starter Cliff Lee turned in one of the best postseason performances in recent memory, allowing only one run and striking out 10 in a complete game victory. 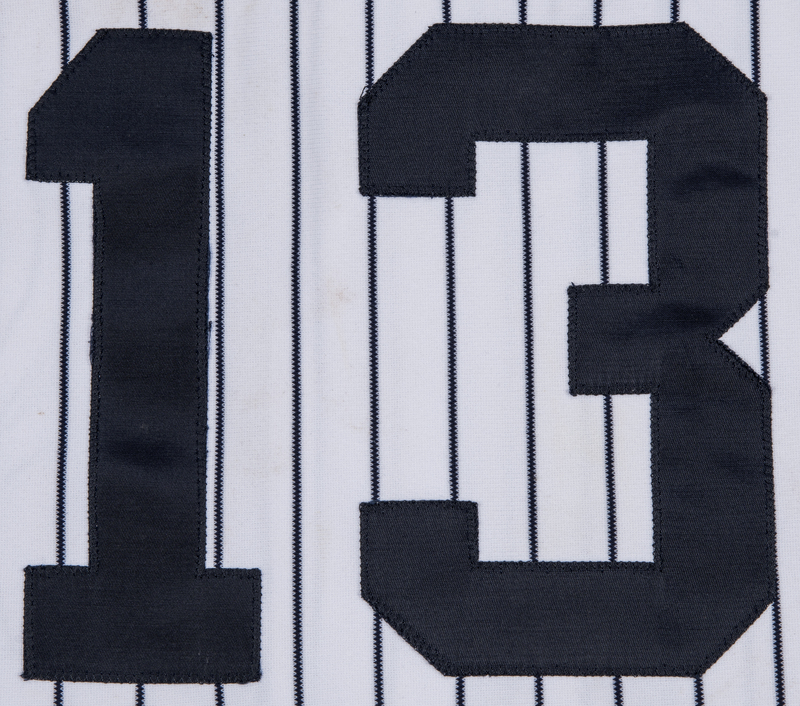 While the Yankees fell 6-1 in Game 1, the Yankees came back to win Game 2 at home and the following two games to set the table for their MLB-record 27th World Series title. 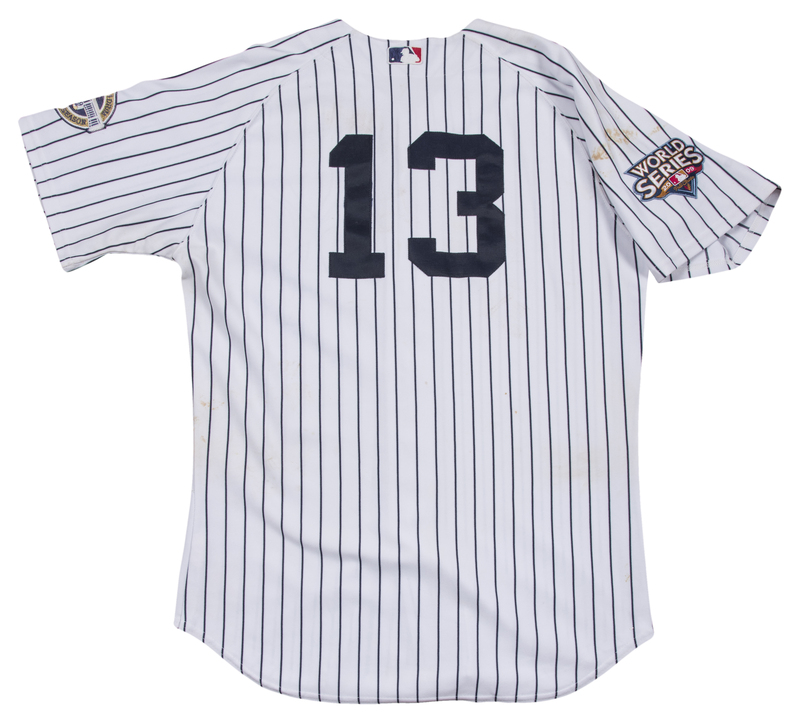 This offered Yankees home jersey is a pinstriped button-down, with the Yankees interlocking “NY” logo sewn on the left chest in navy tackle twill. 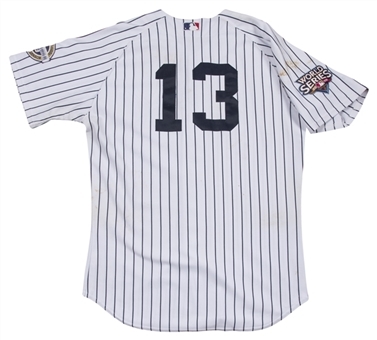 Rodriguez’s number “13” is sewn on the back of the jersey in navy tackle twill below at MLB logo patch. A 2009 World Series patch is sewn on the right sleeve and a 2009 Yankee Stadium Inaugural Season patch is sewn on the left sleeve. 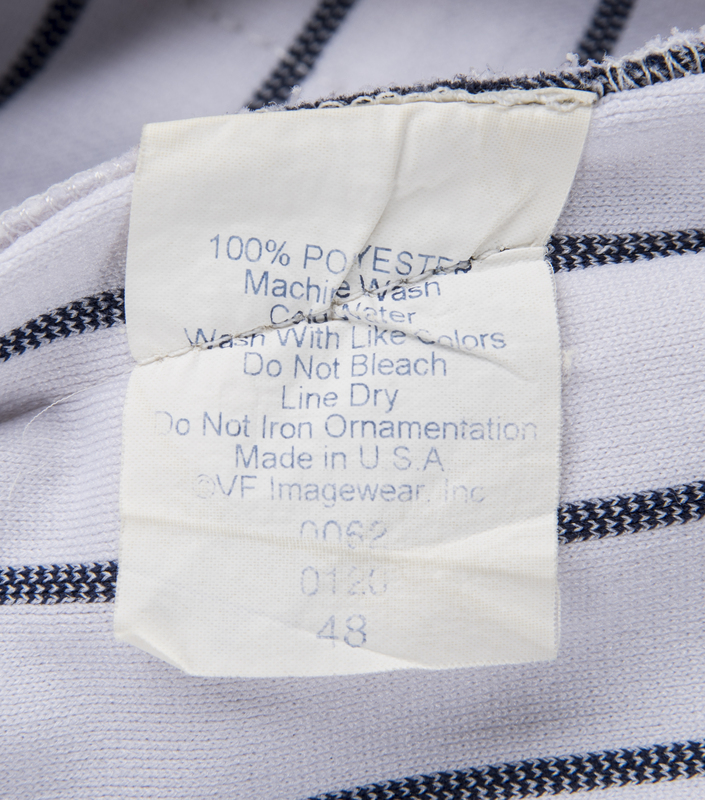 A Majestic tag with attached size “48” and “2009” flags is sewn on the front left tail. 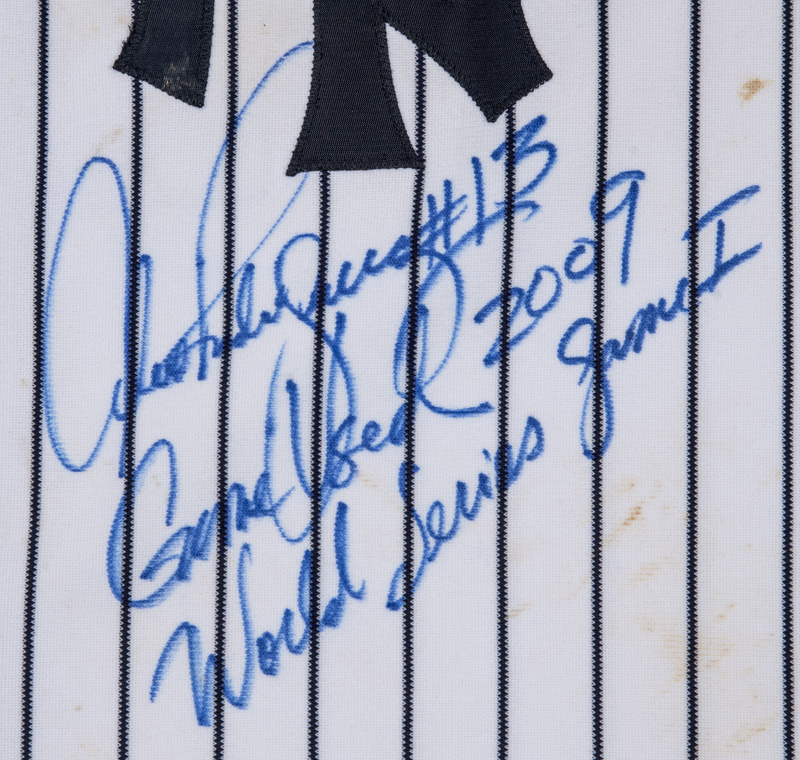 Rodriguez has signed the chest of the jersey just below the “NY” logo in blue marker, inscribing “#13 / Game Used 2009 / World Series Game 1” in addition to his signature. 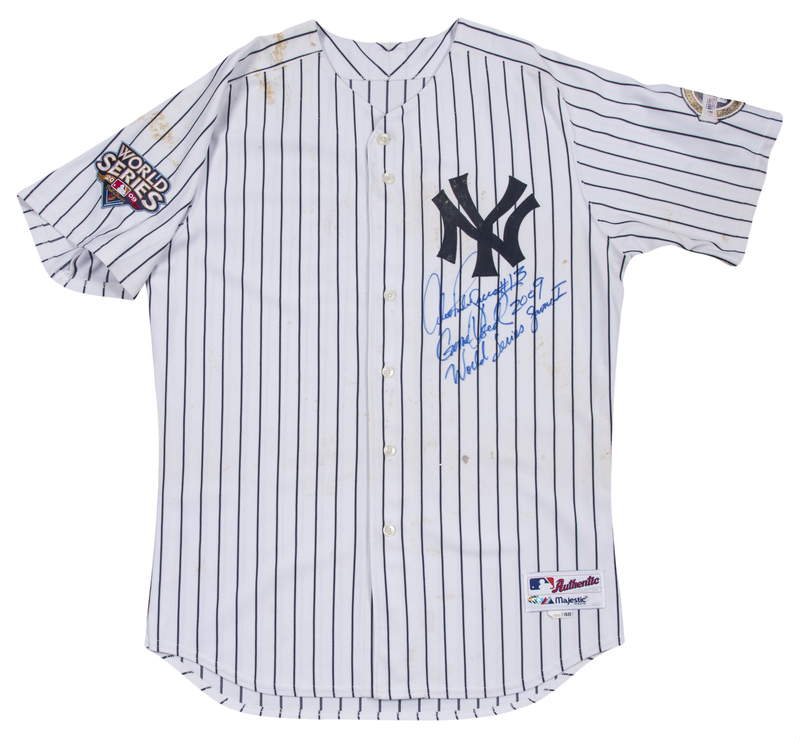 This jersey shows ample game use, including dirt stains on the chest and right shoulder. 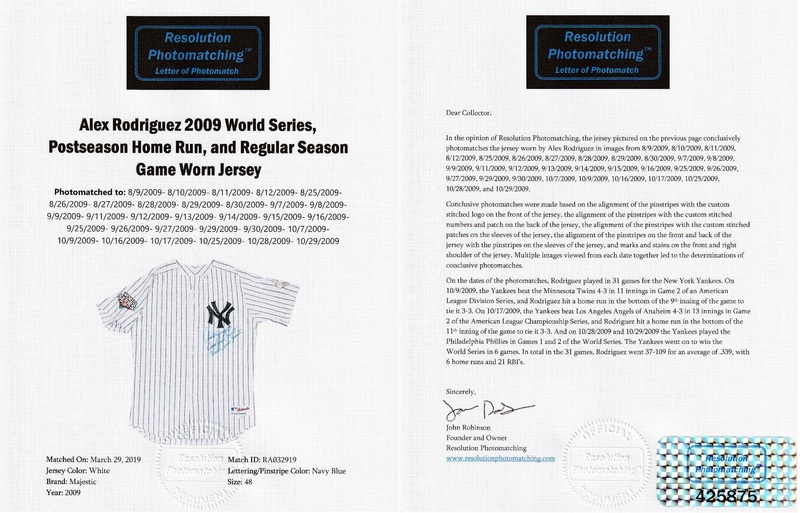 A terrific opportunity to own the first World Series jersey of A-Rod’s career and it is accompanied by a LOA signed by Alex Rodriguez himself. 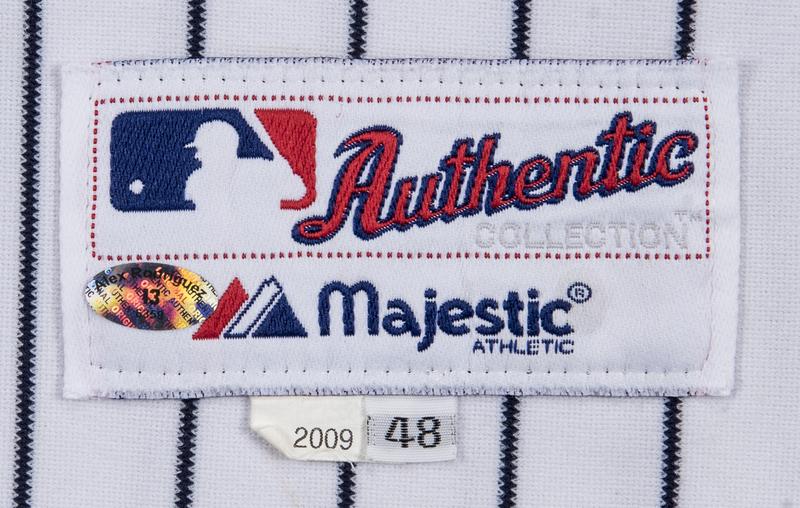 Additionally, this jersey has been photo matched by Resolution Photomatching to Games 1 & 2 of the 2009 World Series and 31 games total. In those 31 games, Rodriguez combined to go 37 for 109 (.339) and hit six home runs with 21 RBI.